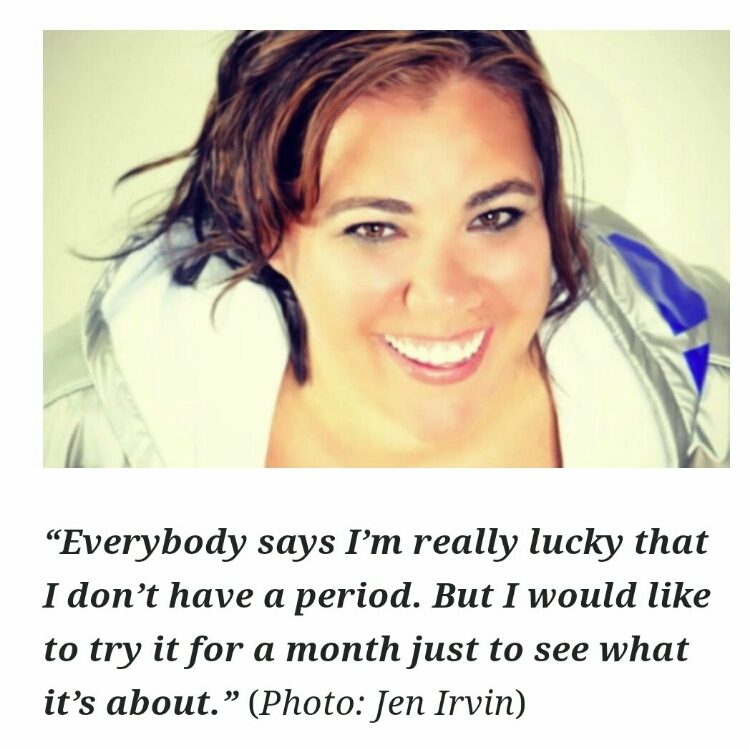 By the time Jen Irwin was 15 years old, she still hadn’t seen her first period. An MRI done just before she turned 16 revealed that she didn’t have an uterus. It was discovered that she had a condition called Mayer-Rokitansky-Küster-Hauser syndrome (MRKH) [also called Müllerian agenesis]. This abnormality affects approximately one in 5,000 women at birth. They are born without a uterus and their vaginas are either absent or poorly developed. Fortunately, their ovaries are working. As a teenager, Jen felt a bit envious of her friends who experienced periods. It is emotionally tough to watch her friends all have babies of their own but she has a blog called When Life Doesn’t Give You A Uterus…Make Lemonade where she expresses her feelings. It also affected her previous relationships: she tells the story of an old boyfriend who left her because he couldn’t deal with it. It is however good to know that Jen, who is now 33, has been married for the last 5 years. She was interested in getting a baby using In-vitro Fertilisation (IVF) of a surrogate mom. However, her health insurance wouldn’t cover it. Jen and her husband look forward to adopting a baby in the near future. There is hope however for other women with this congenital abnormality. Cleveland Clinic has begun screening candidates for a pioneering clinical trial of uterus transplantation in women of reproductive age with uterine factor infertility (UFI). Read Jen’s full story HERE. I can’t imagine being born without an uterus. It takes a deeper inner strength to learn to live a happy life in spite of difficult, life-long and heart-breaking circumstances like this one. I admire Jen’s courage and strength. No matter what situation you face, continually lean on God for grace to stand up under it. Cast all your cares upon him for he cares for you. Learn to be thankful for all that you have. There are others who are in worse situations than you are. Normally what you have, you take it for granted while others can only hope and wish. She’s a remarkable woman.